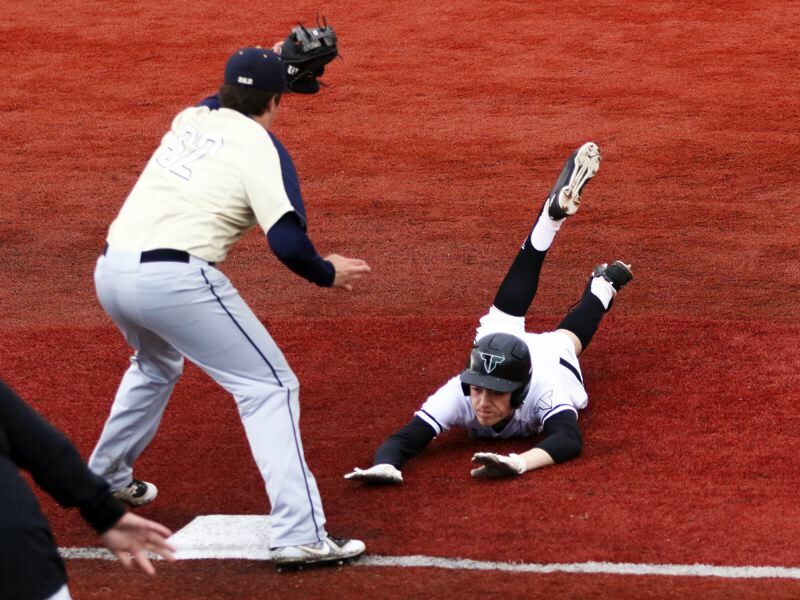 From Little League up through high school baseball, Lance Kreisberg has represented Tigard. He's proudly wore the green jersey anywhere from the Alpenrose Dairy to the turf field at Tigard High School. But, this summer, Kreisberg is going to be wearing a different colored jersey. But, again, he'll be representing with pride. Only, this time, he'll be representing an entire country. 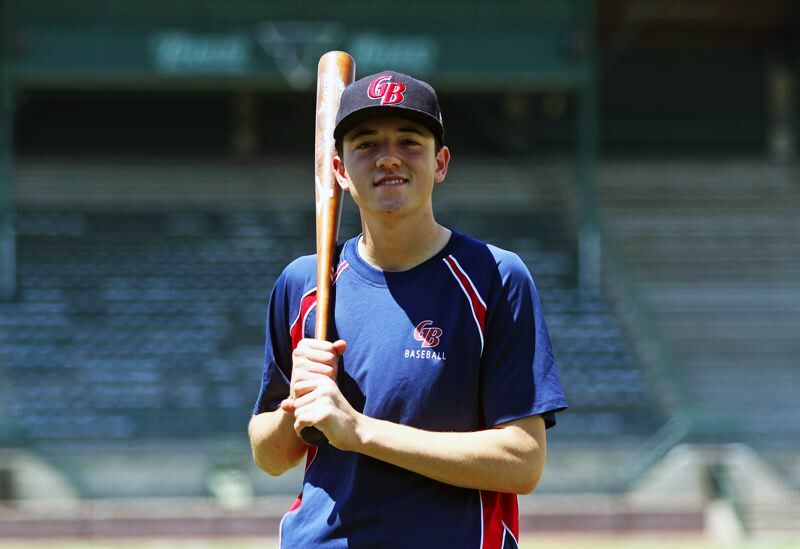 Kreisberg, a Tigard High School senior-to-be, will be playing for the Great Britain ages U18 baseball team at the 2018 CEB Junior European Championships, to be held July 9-15 in Grosseto, Italy. "I never thought I'd be playing baseball in Italy," Kreisberg said last week, as he sat in the third-base dugout at Tigard High School. "I think it's going to be really cool. I'm hyped about it. It feels really good to get the chance to represent Great Britain. I don't know how good the team will be, but it's going to be a really fun experience." Kreisberg, whose father, Lou Kreisberg, is from Great Britain, will be carrying on a family tradition in playing for a Great Britain national baseball team. His older brother Spencer Kreisberg, a 2005 Tigard High School graduate, first played for Great Britain in 2011. The oldest of three Kreisberg brothers (Miles Kreisberg also played baseball at Tigard) also played in the 2012, 2014 and 2016 European championships and the 2011 and 2013 European Championship qualifiers. He also played in the 2016 World Baseball Classic Qualifier in Brooklyn, N.Y., pitching in the final game against Team Israel. Spencer Kreisberg will serve as the pitching coach for the Great Britain U18 team this summer. "A couple weeks back, I got a call out of the blue, asking if I'd help out," Spencer Kreisberg said by phone from Hermosa Beach, Calif., where he just finished up his teaching year at Hermosa Valley Middle School. "I've always had a great experience with the Great Britain team, and I always wanted to coach Lance. It's going to be fun to see how he does." "My brother had the idea of me playing for the U18 team," Lance Kreisberg said. "He wants me to be a part of Great Britain baseball. He helped me get the opportunity." But that wasn't a quick process. Lance Kreisberg, who pitched, played at third base and served as designated hitter for the Tigard High School team this past spring, earning second-team All-Three Rivers League honors as a designated hitter, first sent the Great Britain team some game and workout videos. From there, it was a cutdown process before the squad settled on its final 20-player roster. "I found out through email, from the coach (Will Lintern), in May," Kreisberg said of being selected to the team. "I was pretty excited." But also a little apprehensive. "I had to think about it at the time," Kreisberg said. "Going to Italy is cool, but going by myself is a little weird. But the traveling appeals to me. The only time I've been out of the country before was going to Niagara Falls." Kreisberg will end up flying to California, where he'll meet up with his older brother, and then fly to Rome. "I'm excited for him," Spencer Kreisberg said. "It's going to be fun to be there and see him do this." Lance Kreisberg will meet his Great Britain teammates during the first week of July. Kreisberg expects to play at third base and to pitch for the Great Britain squad. "I'm really looking forward to meeting new people and traveling," he said. "And also playing baseball in different countries." And, against different countries, as well. Playing in Pool A at the Junior European Championships, the Great Britain squad will play teams from the Czech Republic, France, Ukraine and defending champions, the Netherlands. "I believe that this is a team that the British baseball community can get excited about," Lintern said on the British Baseball Federation website. "We have a broad depth of experience and our energy and attitude is second to none. We have spent a lot of time over the winter working on the Inspire and Develop strands of our mission, but now it is time for the third pillar, Perform, to come to fruition." The Great Britain roster includes five players who are based in the United States, including, of course Kreisberg. "I'm looking forward to the experience," he said. "But I still want to win games." And, Kreisberg says, it will help to have his older brother there with him. "It's nice to have a mentor, and for me, it's my brother," he said. "And he taught me my cutter." "I think it's going to be really good for him," Spencer Kreisberg said. "He'll get a good appreciation for baseball in Oregon and beyond. It will be a great experience to go play baseball overseas. But, you have to carry yourself at all times. You're representing a whole country now. "There are going to be some really good teams there, but baseball is baseball. You have to throw strikes and get outs. I think Lance is going to fit in really well." The tournament in Italy is just part of a busy baseball summer for Lance Kreisberg. He'll be playing for the Tigard Longhorns Oregon Independent Baseball Association team up until leaving on his trip. He'll also be playing in the Futures Game, along with his Tigard teammate C.J. Rivers, which will be held June 29 at Volcanoes Stadium in Keizer. "I want to play as much baseball as I can," he said.